At Harbron Home Improvements, our groundwork services range from ​excavation​ to installing drainage systems​, ​decorative edging​, ​kerbing​ and ​walling​. Our mission is to transform your outdoor areas – driveways, patios, car parks, etc. – into stunning, bespoke and practical spaces. Whatever your project, we’ll turn it into reality. Because we first started out ​in groundwork services,​ we’ve kept our expertise in-house and never use subcontractors. We feel this is important for our customers, so we can ensure that our workmanship and customer service are consistently first-class. Whichever surface you choose for your new driveway, patio or garden – resin, artificial grass, tarmac, concrete or block paving – it needs to be laid onto a ​stable​, ​structurally sound structure​. Our surveyor will advise you if resin or artificial grass can be laid onto your existing surface or not. In some cases, it might be necessary to first lay a solid sub-base like tarmac or concrete and then install a mesh membrane for extra stability. In other cases, only minor work might be required. For resin driveways, we may also recommend that we install edges or use ‘thickenings’ so the resin is level with the adjoining road surface and doesn’t cause a trip hazard or look unsightly. We identify potential or existing drainage issues by completing a free, thorough survey of the area. To that effect, we may recommend raising or lowering ground levels or/and installing drainage systems like eco drains, soakaways, recess covers, etc. We always ensure that our installations comply with the latest SuDS (Sustainable System Drainage) building regulations​. 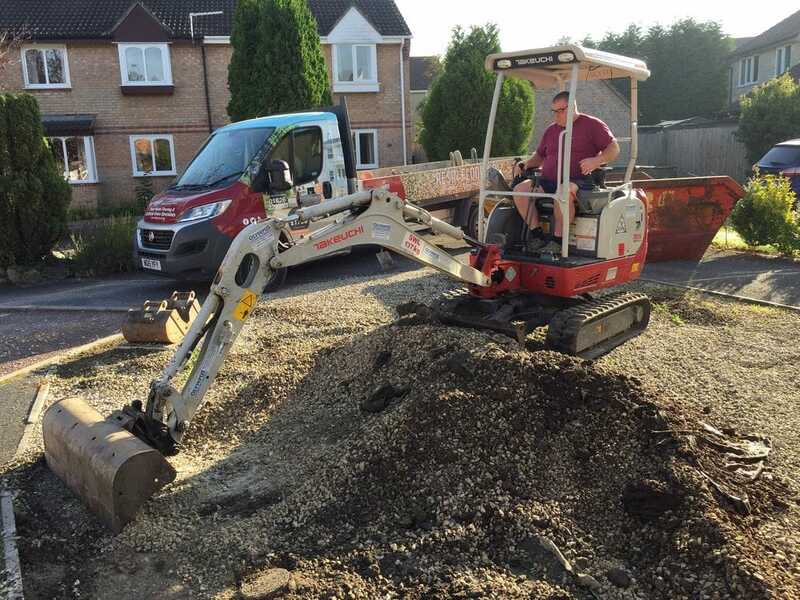 Any initial need for groundwork will be clearly explained by our surveyor and form part of your free written quotation so everything is clear from the onset. Book your free site survey today. We undertake groundwork ​services a​ cross Devon, Cornwall, Somerset and Dorset.